Tuscany is regarded as the true birthplace of the Italian Renaissance and home to many influential legends in the history of arts and science–including Petrarch, Dante, Botticelli, Michelangelo, Niccolo Machiavelli, Leonardo da Vinci, Galileo Galilei, Amerigo Vespucci, Luca Pacioli and Puccini. 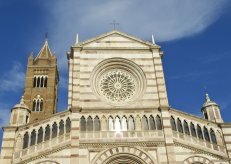 The province of Grosseto lies in southern Tuscany and possesses a rich artistic heritage as well as a small and fascinating center of medieval and Renaissance material and archeological sites that preserve Roman and Etruscan treasures. Baseball in Italy got its first break in the late 19th century when two American naval ships, the USS Lancaster and the USS Guinnebaug, arrived in the Tuscan port of Livorno. The American servicemen held their first baseball game on January 23, 1884 at the Campo d’Osservazione AKA Observation Field. Enthusiastic crowds cheered on the players, and the games garnered enough interest in the media to include coverage by Livorno’s newspaper, La Gazzetta Livornese. 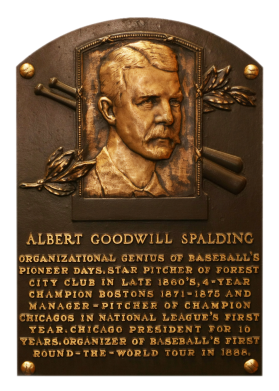 With an eager international following in Italy, early baseball pioneer Albert Goodwill Spalding served as a ‘Goodwill’ ambassador of the sport and held tournaments in Florence, Naples, and Rome in 1889. In an effort to unite forces with the allied Italian Army during World War I, the American Army taught Italian soldiers the sport and held baseball games between the two armies. Any inter-war following was soon decimated upon the rise of Benito Mussolini’s fascist regime, which banned baseball for its American influence. Baseball experienced an Italian Renaissance post-World War II under the leadership of Ottino and Graziani, when the Lega Italiana Softball and the Lega Italiana Baseball leagues were created. The first professional baseball game between two Italian teams was held on June 27, 1948 in front of 2000 fans at Giurati stadium in Milan. 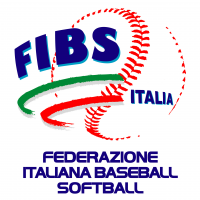 These two leagues would eventually evolve into what is known today as the Federazione Italiana Baseball Softball (FIBS), the governing body of baseball in Italy. 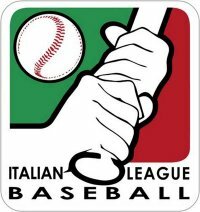 The Italian Baseball League (IBL) was founded in 1948 and is comprised of teams from Bologna, Parma, Nettuno, Rimini, Godo, Novara and Grosseto as well as the culturally Italian yet independent country San Marino. These eight teams compete in a 42-game season. Each team is allowed to have up to four non-Italian citizens, and each team must have at least six Italian citizen baseball players on the field at any given time. Former American players have found a second home in the IBL, including Jay Palma–the 1980 sixth-round draft pick of the New York Mets and current coach for the Novara United team. Pitcher Mike Hartley believes Italy will rally round a winning team as manager of Grosseto. Grosseto will benefit with the addition of former MLB pitcher Mike Smith on the mound and as pitching coach. Michael Anthony Smith was signed by the Toronto Blue Jays in the 5th round of the 2000 amateur draft at the end of his college career at the University of Richmond. He pitched in 14 games for the Blue Jays in 2002 including six starts. The Minnesota Twins acquired Smith from the Philadelphia Phillies during the 2005-2006 offseason, but he was not called up to the Major Leagues until August 2, 2006. Smith played for the 2009 Brother Elephants team in Taiwan’s Chinese Professional Baseball League (CPBL). 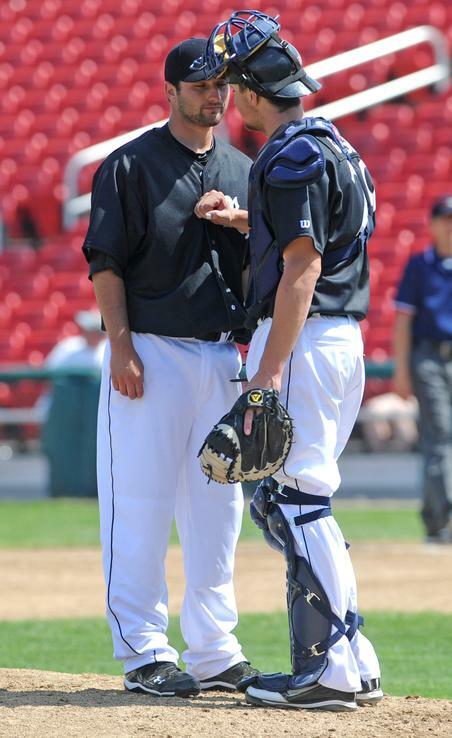 He led the 2010 Brockton Rox of the Can-Am League in wins (12) and ERA (2.87) in 125.1 innings. He was also named to the 2010 Cam-Am All-Star Team, along with Rox teammate and newly signed Grosseto catcher Chris Grossman. Smith went 8-5 with a 3.99 ERA in 94.2 innings during his 2011 Brockton Rox pitching campaign. The 34-year-old MLB veteran will prove to be a valuable asset for the Tuscan squad both as regular starting pitcher as well as mentor and pitching coach for the talented roster of Grosseto hurlers. Having played for the St. Louis Cardinals organization, Grosseto catcher Chris Grossman is a huge boost to any pitcher's confidence and mental stamina. Switch-hitting shortstop Jay Pecci adds spark to a Grosseto team charged with MLB experience. in his final scrimmage game, Pecci was cut from the Italian team before the international competition. Pecci walked on to the Stanford baseball team and impressed enough to become a everyday starter. Joe Borchard, Chad Hutchinson and eventual Gary SouthShore RailCats teammate Tony Cogan. All-Star Game MVP and ranks in the top five in nearly every offensive category in Northern League history. 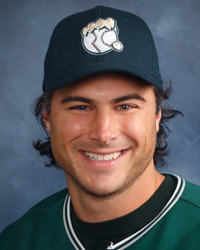 Originally selected by the Oakland Athletics in the 11th round of the 1998 Major League Entry Draft out of Stanford, Pecci played four seasons in the Oakland A’s system–including a stint at Double-A Midland in 2001. The Novato, California native was claimed the following season by the Seattle Mariners in the Minor League phase of the Rule 5 Draft. He advanced all the way to Triple-A Tacoma before the end of the 2003 season. Pecci finished 2003 as a San Francisco Giants farmhand and spent the entire 2004 season with the Double-A Norwich Navigators in the Eastern League. Grosseto shortstop Jay Pecci demostrates his acrobatics and athleticism everyday on the field. 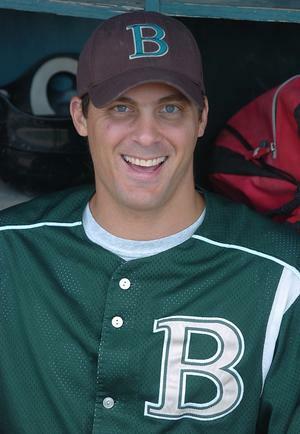 Pecci came close to early retirement in 2004 when he fractured his skull and broke his jaw colliding with a Norwich teammate while chasing a flyball in Trenton, New Jersey. Having his jaw wired shut for a month, Pecci was determined in making a comeback. He remarked, “I thought at that point, I wouldn’t let that be my last game in baseball.” In his 15-year pro career, nothing came close to his personal best 2008 campaign with the Indy League Gary SouthSide RailCats. 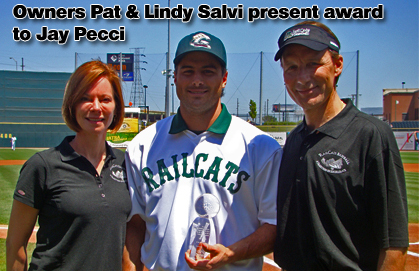 Pecci set the RailCats single-season hits record (115) that season and hit a career-best .317 batting average and .474 slugging percentage along with 26 doubles and nine home runs. He homered in the Northern League All-Star Game in 2008 and earned Most Valuable Player honors after hitting the game-winning home run in the ninth inning of the decisive Game Four of the Northern League Semifinals. 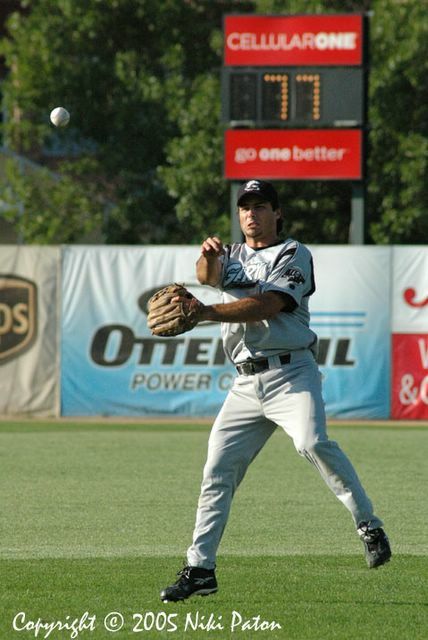 Following the 2008 season, Pecci earned his first Post-Season All-Star commendation from the league as the circuit’s top shortstop. An agile and seasoned veteran ballplayer with well over 1000 games of experience, Jay Pecci will give Grosseto a competitive edge in the IBL. A proven expert in teaching the fundamentals of pitching, hitting, fielding, base running, and game strategy, Grosseto hitting coach Jefferson Infante draws from his experience as a minor leaguer and assistant scout for the Kansas City Royals as well as collegiate coach. Grosseto hitting coach Jefferson Infante played baseball at Dewitt Clinton High School in the Bronx, where he earned All-City honors and played the all-star senior game at Yankee Stadium. After high school, Jeff played in the Dominican Republic in a recruiting league against professional teams before accepting an athletic scholarship to play at Louisberg College and leading his squad to the National Junior College Athletic Association World Series. MLB scouts took notice of Infante while playing for Ramapo College, where he was named to the All-Conference team and earned All-American Honors. Jeff was drafted as a catcher by the Kansas City Royals in 2004. He went on to play for three years in the Royals farm system for Idaho Falls, and later signed an Indy League contract with the St. Joseph’s Black Snakes in Missouri. 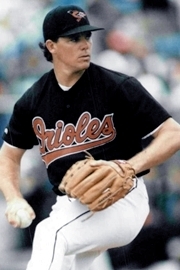 Although Jeff’s professional baseball playing career would come to an abrupt ending when he sustained a shoulder injury, he remained in the game as an invaluable coach to collegiate players. As the assistant baseball coach at Baruch College in Manhattan, Infante’s ability to convey information to players and make the game simpler has paid off as Baruch has made three championship appearances and won the 2009 championship title. 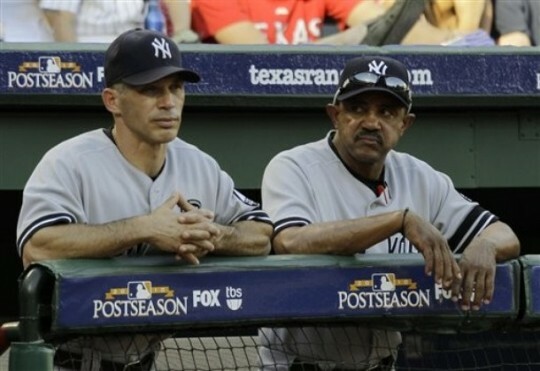 Grosseto hitting coach Jeff Infante is the nephew of New York Yankees bench coach Tony Pena (shown here standing to the right of Yankees manager Joe Girardi in the Yankee dugout). 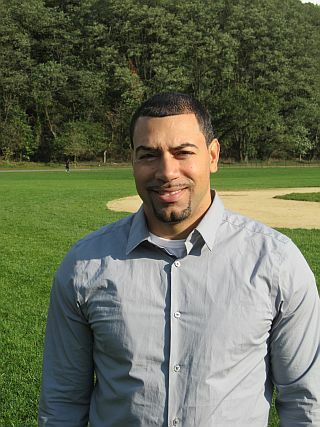 With over 10 years of baseball instructional experience, Infante has been sought after to serve as personal training coach for some of New York’s finest. While offering private baseball instruction for the Cooperstown Athletics Sports Performance Training Facility in Manhattan, five of Jeff’s private alums have gone onto playing professional baseball within the last few years. Coupled with the injection of manager Mike Hartley and pitching coach Mike Smith, Infante and the new blood on Grosseto’s coaching staff now have the ability to positively impact the team’s bright future ahead. Finishing 13 games behind 2011 IBL Champion San Marino last season, the newly revamped and much improved Grosseto squad will be a top contender in Europe as a result of the 2012 MLB Italian Renaissance in Tuscany. Next Article Mineo: legendary historical landmark of Sicily or Italy’s finest catch exported to the Chicago Cubs? Time can only tell if Baseball will truly return to its pre-WWII form. It seems, to me anyway, that if any country would start up Baseball in Europe, Italy would. How true do you think this is?